Salt marshes fringe much of the world’s low-lying coasts. 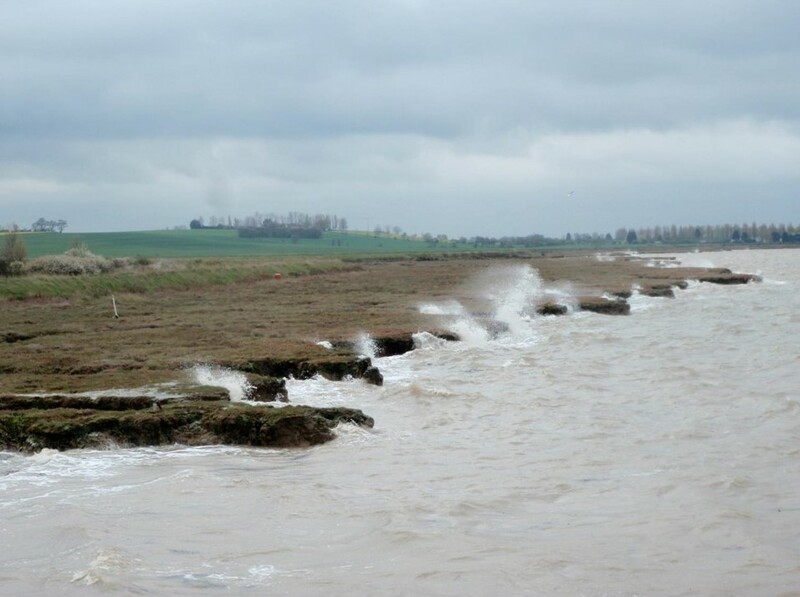 They act as a first line of defence against storm surge waves, reducing storm water levels and the run up of waves on landward sea defences. As a result, vulnerable shorelines and engineered coastal defences are at lower risk of suffering from the impact of climate change, such as sea level rise and intense storms. Little is known, however, of the resistance of these natural buffers to the continued battering by waves and tidal currents and even less is known about what kind of storm it would take to remove significant chunks of these protective fringes, and thus leaving the coast and the populations living alongside it considerably more vulnerable. Coastal wetlands cover around 756 thousand km2 globally, with medium sea level rise scenarios (50 cm) likely to cause a loss of 46-59 % by 2100 (Spencer et al., 2016). While coastal populations are increasingly at risk from flooding and erosion, this is particularly the case on coasts fronted by wetlands (nation states with mangroves may face a coastal population rise from 1.8 billion to 2.8 billion between 2000 and 2025 (Dodd and Ong, 2008)). If wetlands provide effective natural coastal protection, we need to act now to (a) safeguard this protective element, and (b) understand how it provides protection from flooding and erosion. Yet the response of salt marsh margins to extreme hydrodynamic forcing is complex and currently not well understood. The response of salt marsh and adjacent tidal flat sediments to wave forcing is considerably more complex than that of sandy shores, largely due to (a) the large silt/clay fractions present and thus the cohesive nature of the sediment involved and (b) the presence of (partially mobile) biological ‘structures’ (plants and other organisms) within and on the surface. Little is known about the types of hydrodynamic conditions that lead to erosion of these coastal features, nor of the types of plants and soils that offer the best protection. Until we have such knowledge, it will not be possible to predict the way in which the future of coastal wetlands, and thus the degree of natural coastal protection that they will provide, will alter with sea level rise and climate change.